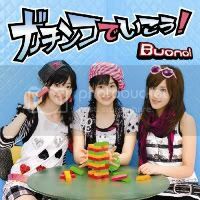 With the release of “partenza” less than a week away, I thought it would be appropriate to celebrate the release of Buono!’s first album since their comeback with a list of my top ten favorite Buono! songs + 5 honorable mentions because this list was so hard to decide! Ahh! I’ve been a fan of Buono! 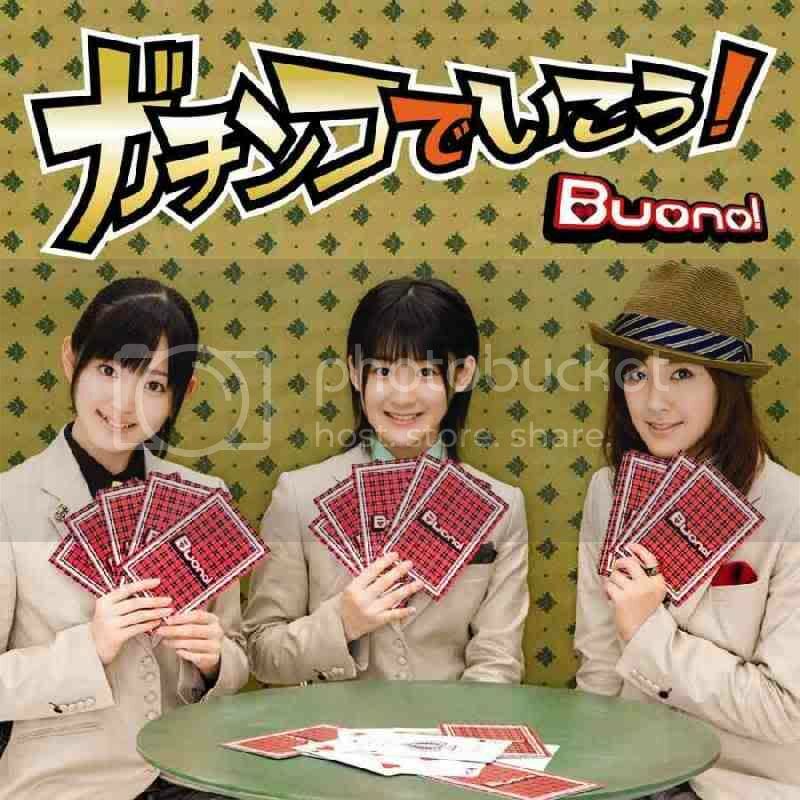 since the spring of 2008, and in fact it is due to Buono! that I am so into J-pop now. Buono! started it all. Thank you Shugo Chara!, but in regards to Buono!, good riddance. For the longest time I was worried that Tsunku would just delete Buono! from the H!P roster once the Shugo Chara! anime ended, but here they are releasing a mini-album on the Zetima label. But, with the label change, Buono! has seemed to be revamping their style. “Zassou no Uta” was a pretty simple rock tune, with the single’s b-sides being the same way, and “Natsu Dakara!” was something new entirely. We haven’t had a cutesy pop song since early 2009, and frankly I miss it! I have no idea the direction that Buono! is going to go now, especially with this–I mean, the commenters weren’t lying when they compared this to K-pop. I’m all for electronica music, but this is Buono! not m.o.v.e! What! I mean, it’s freakin’ awesome, but I miss my “Hop~Step~Jump!” But, although Buono!’s style cannot be truly defined right now, whatever they release I’m sure to like. Onward to the list! I’ve loved this song since I first heard the album back in the spring of 2008, and I bought “Cafe Buono!” as my first J-pop CD ever. The whole album was great all around but this song was definitely one of the best, and being pretty much a classic Buono! song I had to add this to the list. Now this is what Buono! is all about. It has that awesome synth line throughout the song and awesome guitar. Buono! is meant for fast-paced songs like this. It gave me that awesome “wow” feeling upon first hearing it too. A lot of Buono! songs gave me that feeling. Most of their singles in fact. For some reason, this was my most anticipated Buono! release. When I first heard the song/saw the PV I asked myself, “What?”. I was so confused by the style, but upon more listens and more watches of the PV I couldn’t get this song out of my head. It quickly grew to be a favorite of mine, and it still retains that position as #7 on the list. This song is the definition of catchy. Haha. And the music video is so fun! It’s actually my favorite Buono! PV. Heh heh. Another song from “We are Buono!”, “Urahara” gave me that “wow”-feeling, too. It’s a song that’s unique amongst the rest of Buono!’s rock and bubbly pop discography, which is why I compared “Natsu Dakara!” to this song. It’s a song to listen to to uplift your mood without being high-strung after listening to it. Haha. This is an excellent song, and really, it seems like every song on “Cafe Buono!” is classic now. “Rock no Kamisama” is a fan-favorite, and I can totally see why. This song is just overall perfect. It’s strangely entrancing, if one could be entranced by idol-y songs. 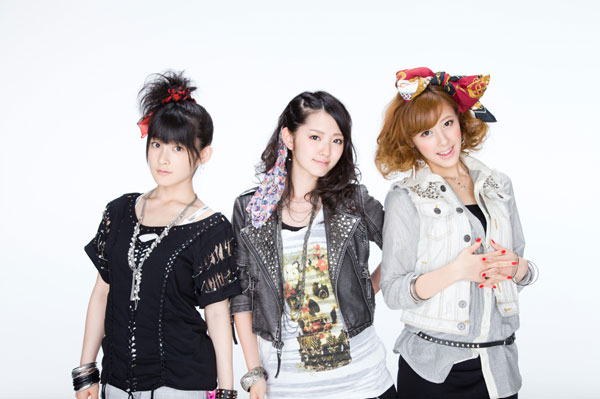 Buono!’s 4th single, and a song that really needs to be played more at their concerts. It’s energetic and it has that rock flare that is true to Buono! while still maintaining the catchy pop sound I love so much. Songs like these made me love Buono! from the beginning. I just wish I had bought the regular edition of the CD–I prefer the regular edition‘s brightness to the boring tan suits of the limited edition. But oh well! This will forever be #2. Of course this is number one! This song is the PERFECT Buono! song and their absolute best in concert. I love how they go all-out with this song when they play it. Awesome. Another song where after hearing I looped endlessly. This song quickly became my favorite song, and it was only after hearing Nana’s “Astrogation” that this song was bumped down to my second favorite song of all time. I don’t listen to it as much anymore, but it holds a special place within my collection. Every part of this song is great; I love the acoustic section before the awesome “1, 2, 3, 4!” into the final chorus. Best Buono! song by far. This entry was posted in Buono!, Lists and tagged Buono!. Bookmark the permalink.